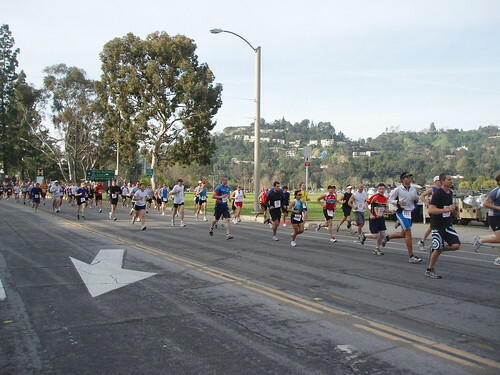 I didn't do this event, because I it was only a week after the LA Marathon, but it is a local race for me. I had actually forgotten about it this year, but on my usual Saturday ride to the Rose Bowl on my way to Angeles Crest I came across the start. This triathlon is interesting in that it is in reverse order. 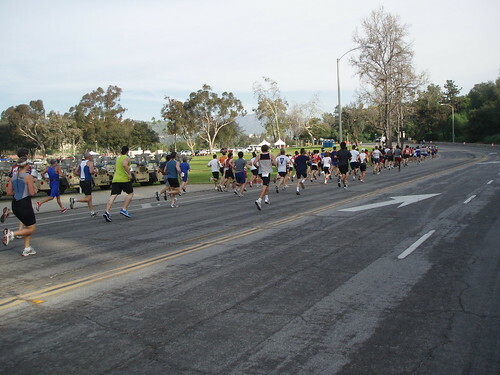 There is a running start then a transition to the bike and then a final swim finish in the nearby Rose Bowl Aquatics Center. Looks like alot of fun. Maybe I'll try it next year.